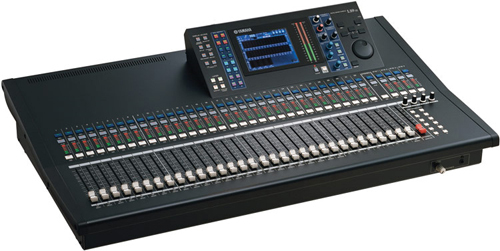 A truly useful sound reinforcement console is one that can keep pace with the rapidly and dramatically changing demands of live sound applications. Efficient, intuitive operation is essential. Yamaha's acclaimed Centralogic concept is the core of a refined user interface that offers a new, unprecedented level of operating efficiency in the CL series, from visual feedback right down to the form and feel of the faders and controls. 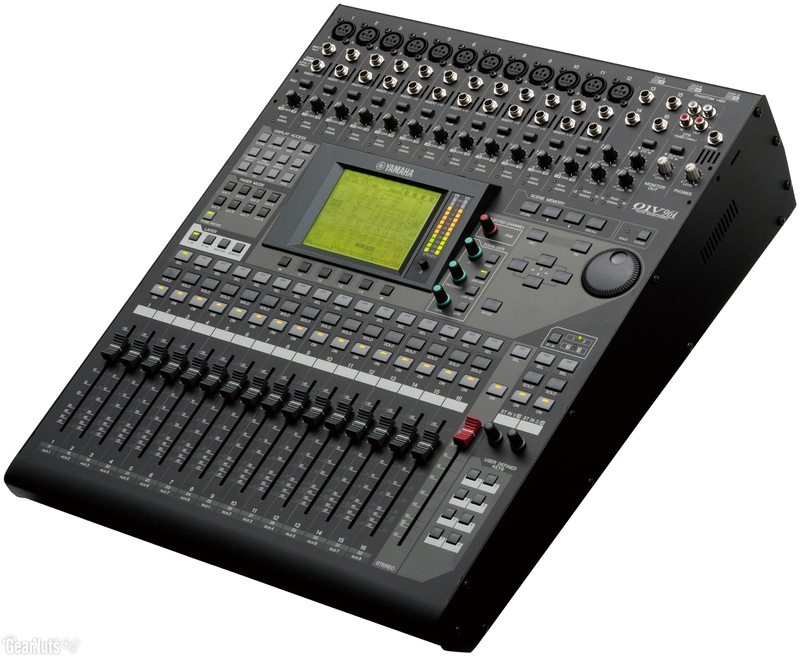 The CL consoles are also ready for seamlessly integrated remote control and online editing via an Apple iPad® or other computer. Control is familiar and intuitive, while at the same time offering extensive freedom. 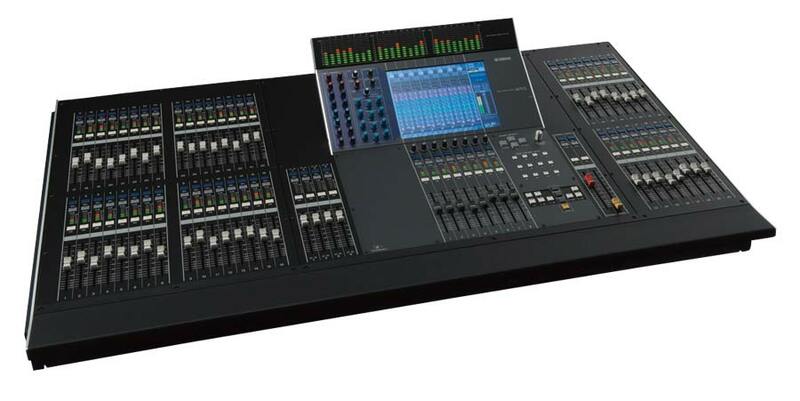 The LS9 series consoles follow in the distinguished footsteps of the Yamaha PM1D, PM5D, and M7CL, expanding Yamaha's digital mixing console lineup for live sound and installations. 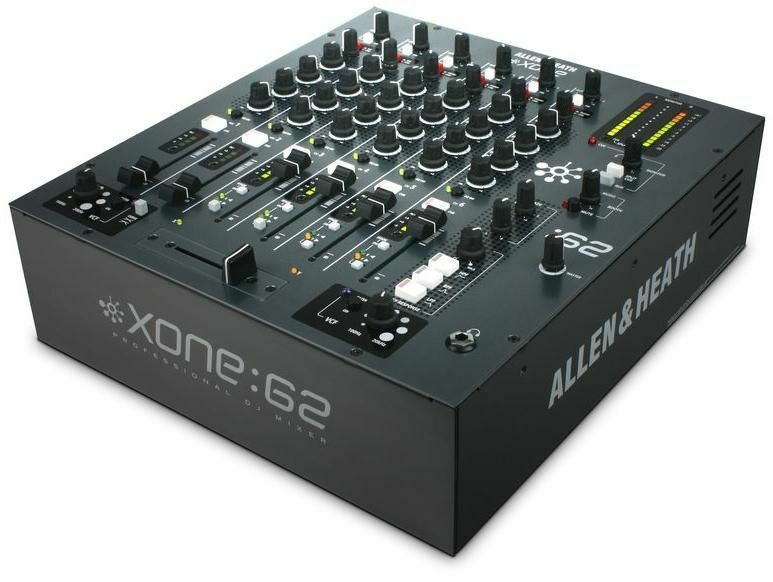 In addition to an extensive range of gating, compression, and equalization capabilities there's also a built-in USB memory recorder/player for recording or BGM playback, and other functionality that give you everything you need for small to medium scale live sound or installed applications in remarkably compact, all-in-one consoles. 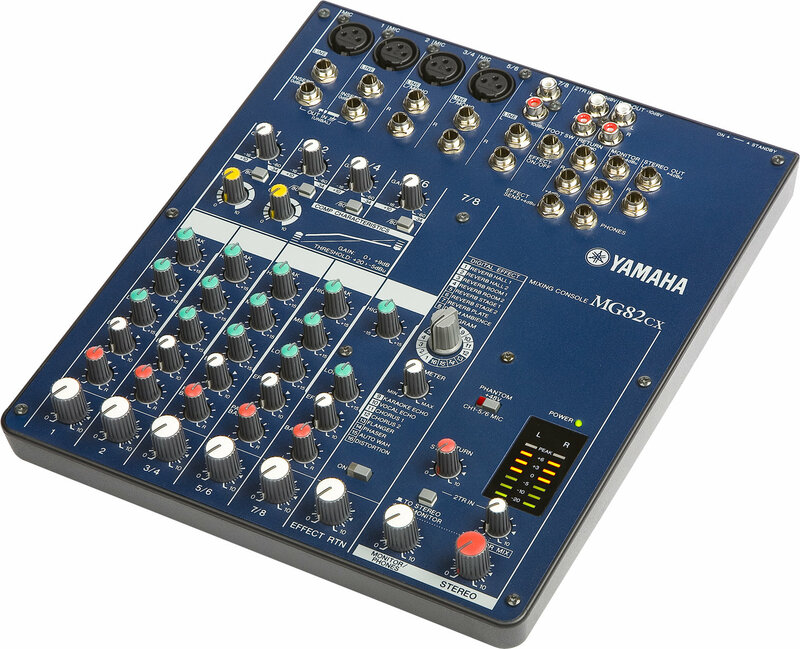 The 01V96V delivers the performance and reliability of Yamaha's acclaimed digital live sound and production consoles in a remarkably compact design that is perfect for home and professional applications where space is limited or maximum portability is required. It may be small but it can handle up to 40 inputs, and can be cascaded if more are required. 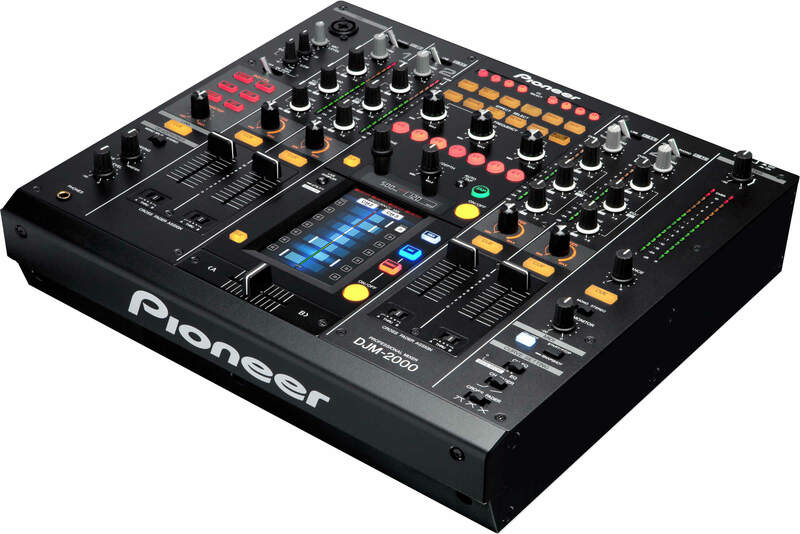 Of course the entire console - effects included - features 24 bit/96 kHz operation for ultimate resolution and sound quality that will satisfy the most demanding applications. 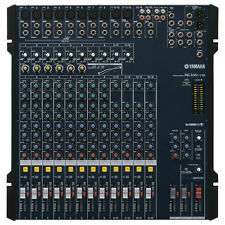 The Yamaha 01V96i updates their iconic digital recording console with 16 channels of bi-directional USB audio streaming at an impressive 96kHz. With multi-track recording now de rigueur during live shows, Yamaha once again ups the ante by making recording and playback faster and easier, while supplying full integration with major ASIO and Core Audio DAWs - with just a single connection. Onboard, you get Yamaha's lauded Virtual Circuitry Modeling technology, giving you warm "analog" effects that are modelled on the actual circuitry of the original units. Bundled with Steinberg's Cubase AI, Yamaha's 01V96i is all you need. 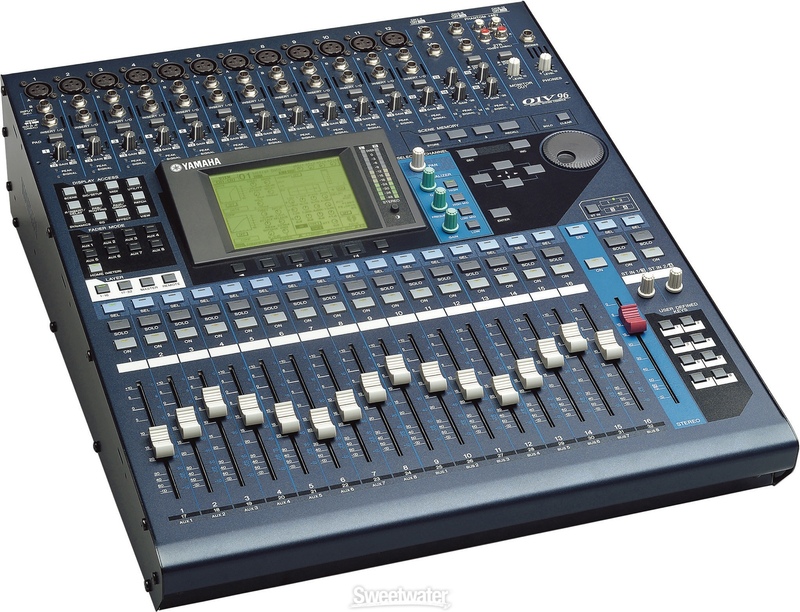 The Yamaha MG206C-USB Mixing Console is a lightweight and compact mixer that will deliver serious performance at the studio, club, hall, or anywhere. The MG206C-USB mixer offers substantial signal routing versatility that will give you the capacity, control, and performance you deserve. 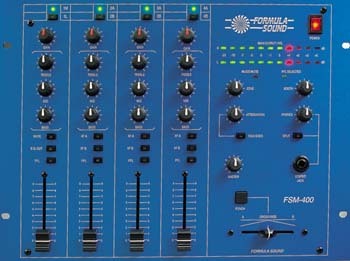 The Soundcraft EPM 12 is a Low-cost high-performance mixer. Surface mount technology is used throughout, using close-tolerance components for high accuracy and repeatable settings for EQ and gain controls. The highly-transparent GB30 Mic amp features high-resolution adjustment over a wide gain range of 55dB, and provides a stunning +22dB headroom through the console. True professional 48-volt phantom power caters for condenser microphones of all types. A unique feature of the signal monitoring on th Soundcraft EPM 12 is the PEAK led. This uses multipoint signal take-offs to watch for overload in several parts of the channel strip, and the led lights more brightly as the signal approaches the peak point. For smooth and accurate channel control, the Soundcraft EPM 12 has 60mm high quality faders as used on other Soundcraft desks. The monitor output and headphone output work in parallel so that performers can still listen on phones while an engineer is listening on studio monitors. These new MG mixers are lighter and smaller than ever while offering some innovative new features. The MG82CX are ideal mixers for basic music production or live sound applications that require high sound quality from a relatively small number of input sources. This model is remarkably compact and lightweight, but no compromises have been made in sound quality. They even have built-in channel compressors that, although easy to operate, can significantly enhance the quality of your mixes. The MG82CX additionally features top-quality SPX digital effects built in, so you won't need any extra equipment for many applications. 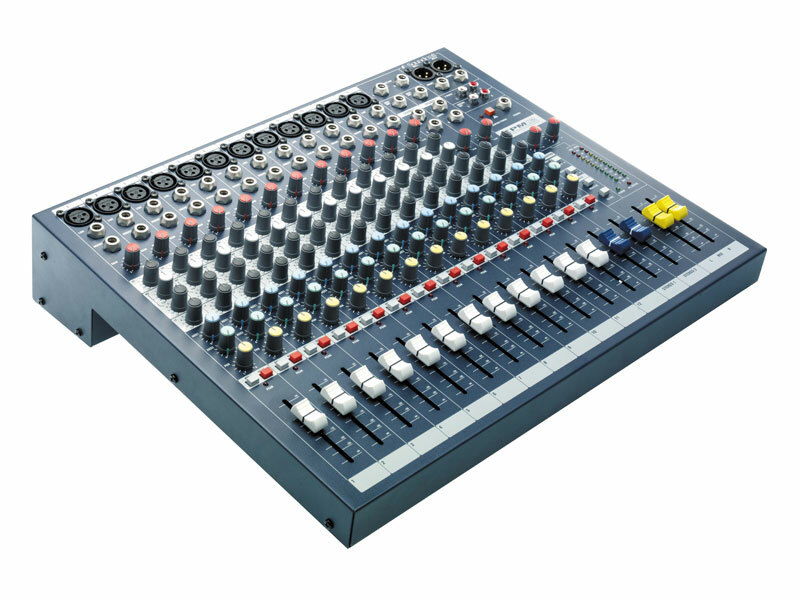 A compact 4 channel mixer with 1 mic channel and 3 playback in a 1U rackmount format.